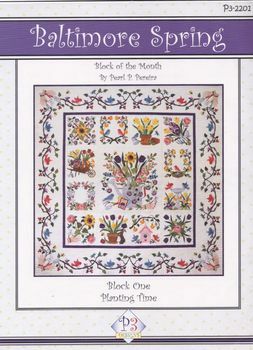 Pearl P Pereira has done it again- stunning new applique spring quilt- we just do the set pf patterns- full size-instruction manual etc. Daffodils, tulips, birdhouse, bunnies etc with a beautiful vine border. Size 70" x 70"- Amazing!